Every year, on the first Saturday after Thanksgiving, the world celebrates Small Shop Saturday. This wonderful event celebrates the local stores, artisans, authors, and other individuals which make our local areas so special. In 2018, Small Shop Saturday falls on Saturday, November 24th. 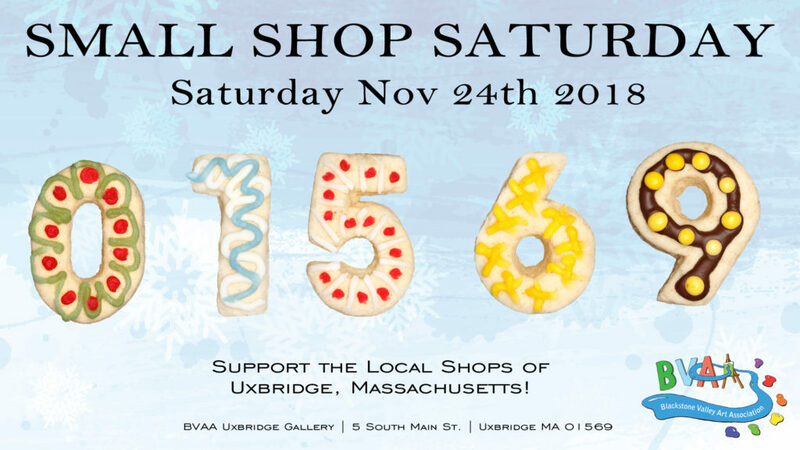 Come on out to Uxbridge to celebrate the many small shops we have in town! The BVAA gallery, at 5 South Main Street, will be open from 10am to 3pm! We currently are hosting our annual community Tapestry art show. There are photographs, watercolors, acrylic paintings, oil paintings, sculptures, origami, prints, cards, books, jewelry, and much, much more! All are welcome. Come on by and see what your community has created! If you’re a local business participating in 2018’s Small Shop Saturday, let us know – we’d love to help promote you!